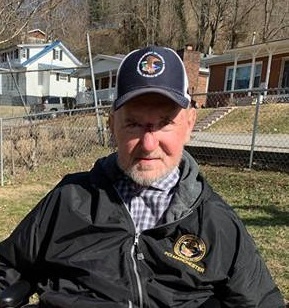 Mr. Irvin Sandlin, age 64 departed this life on Sunday, March 31, 2019 at the Greg and Noreen Wells Hospice Care Center in Hazard, Kentucky. He was born on Thursday, September 9, 1954 in Manchester, Kentucky to Henry Ford and Miriam Keith Sandlin. He leaves to mourn his passing his children: Scotty Sandlin and his wife Donna, Angie Sandlin and Justin Sandlin and his wife Brittany, his grandchildren: Tucker Scott Sandlin and Easton Clay Sandlin as well as his siblings: Wes Sandlin, Michael Sandlin, Bill Sandlin and Jackie Truett. He is preceded in death by his parents: Henry Ford and Miriam Sandlin and his brother: Doug Sandlin. A celebration of life for Mr. Irvin Sandlin will be conducted on Wednesday, April 3, 2019 at 1 PM at the Rominger Funeral Home Chapel. Rev. Brian Gabbard will be presiding. He will be laid to rest next to his parents in the Macedonia Cemetery in the Burning Springs Community.